To be digitally literate is to have the transferable knowledge and applicable skills needed to operate ‘network devices’, such as smartphones, tablets, laptops and desktop PCs. 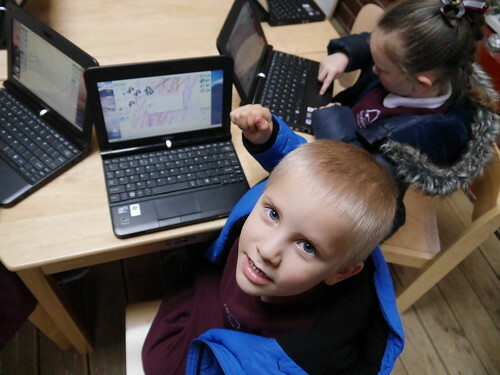 As a subject, Digital Literacy allows children to use digital technologies to enhance their learning across the curriculum. The teaching of Digital Literacy encompasses the philosophy that creativity and self-direction are needed to imagine, and produce, solutions to the problems of ‘tomorrow’s world’. 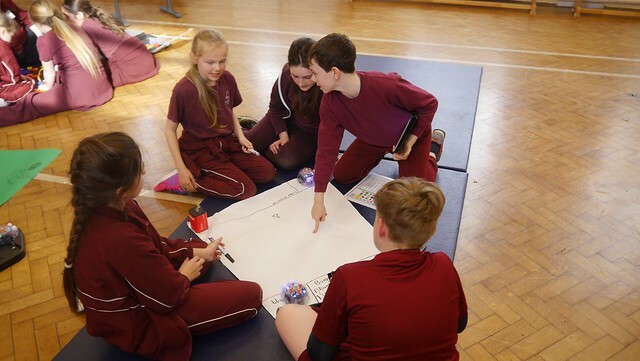 Digital Literacy lessons allow learners to access innovative and interesting parts of the ‘new’ National Curriculum – such as coding and robotics. 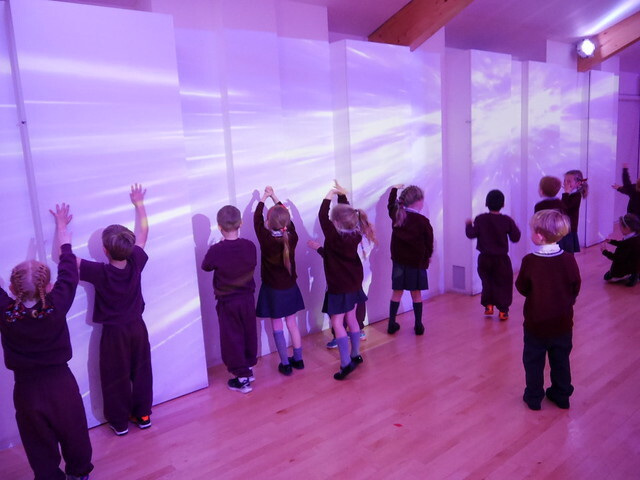 Furthermore, the sessions also allow learners to explore their Learning Challenge questions in an imaginative way. 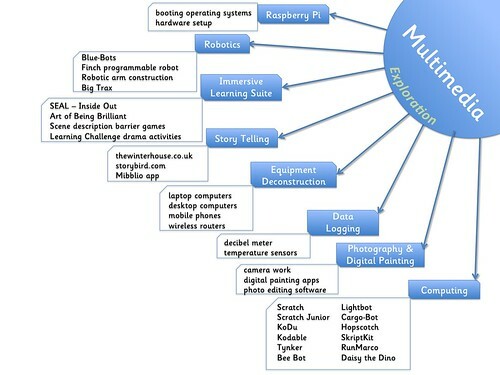 The sessions also nurture the development of many of the ‘soft skills’ employers regard as crucial to the future economy, such as: problem solving & debugging, resilience, teamwork, logical thinking, creativity and a knowledge of digital devices and their multimedia applications. Please find a number of resources for parents in the downloads section at the bottom of this page, including curriculum information and parent application and website guides. 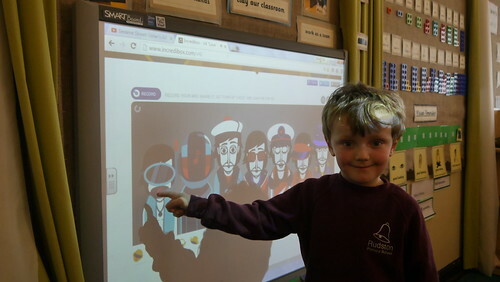 Scroll down to see examples of children’s work under each Learning Connector. 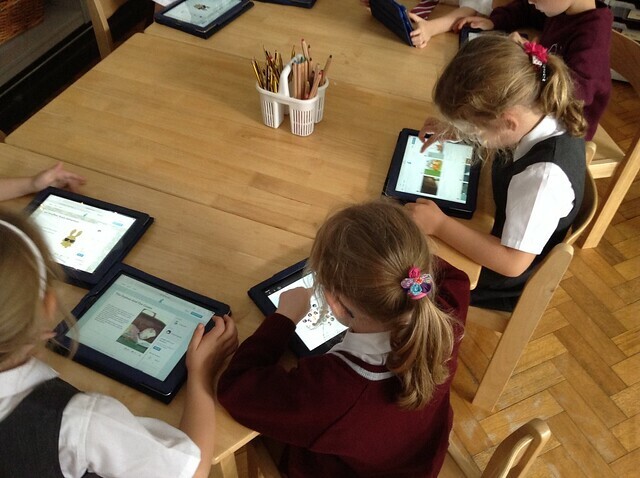 Below, you will see just how we use iPads to change the way we learn at Rudston. 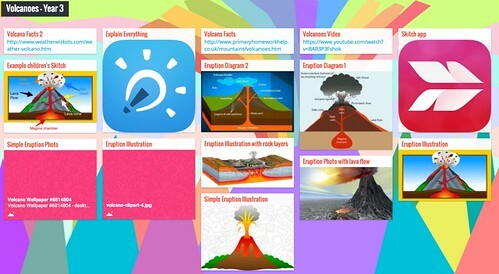 This section is organised by the Learning Challenge titles of each year group. 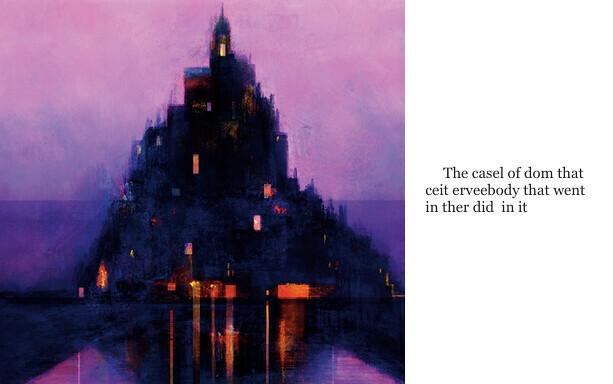 How did castles protect people? Would you like to live next door to Mr ing? 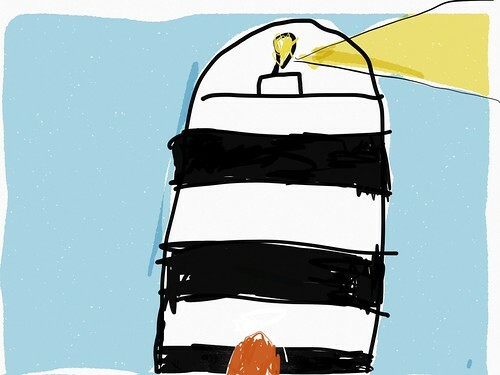 Year Two have been studying lighthouses as part of their Learning Challenge. How is your dinner different from a Stone Age man’s? 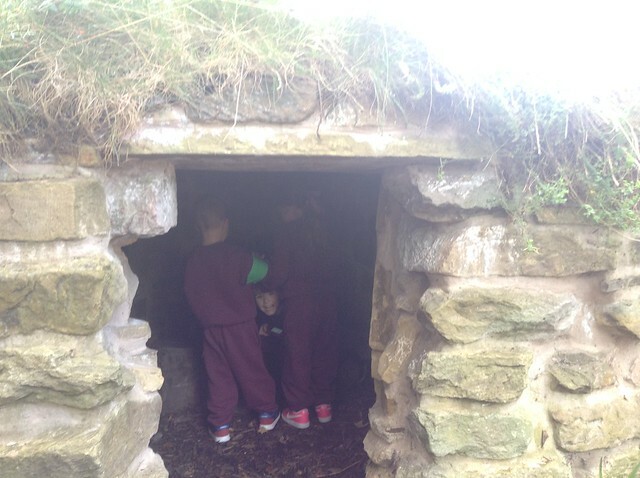 Year Three investigated what types of food Stone Age men and women ate. They produced a photo slideshow on the tools they would have needed to hunt or gather their meals. Some of Year Three share their favourite meals, how are they different from a Stone Age man’s? What’s more exciting than a Stone Age hunt? 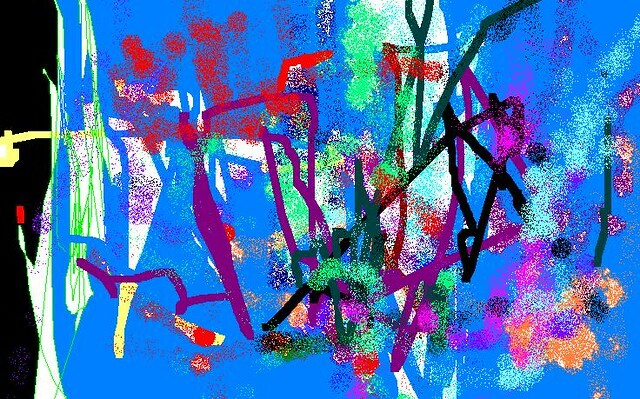 A Year Three stop animation film obviously! 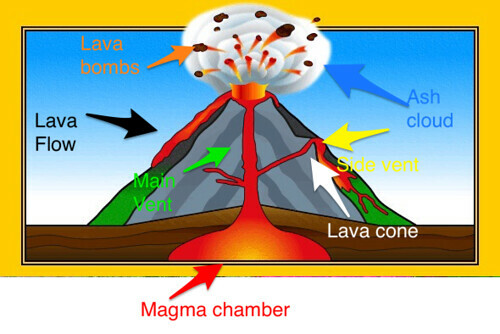 Is a volcano angrier than Miss Trunchbull? Where would the White Witch be least powerful? 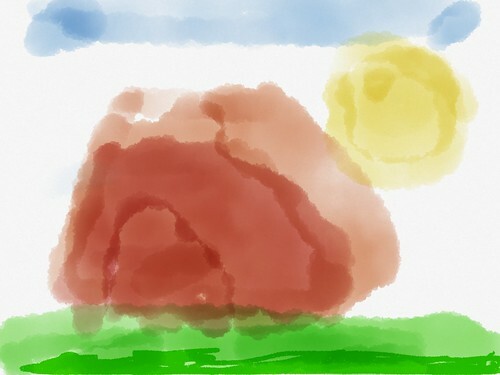 Where would the White Which be sure to come unstuck? 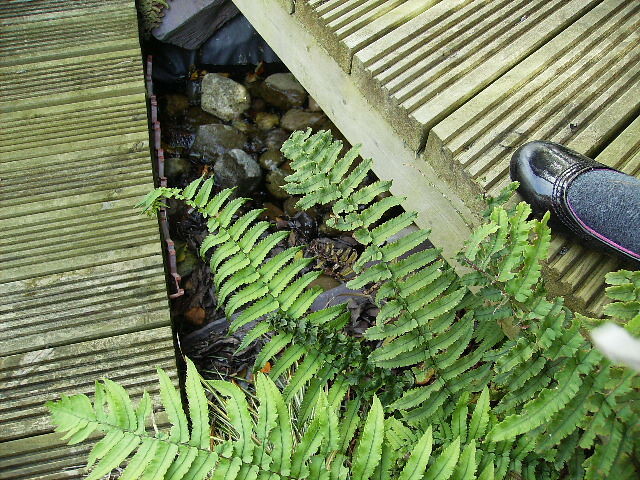 In a river of course. 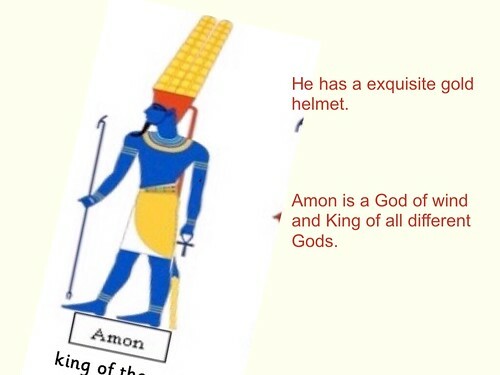 Check out Year Four’s annotated images. 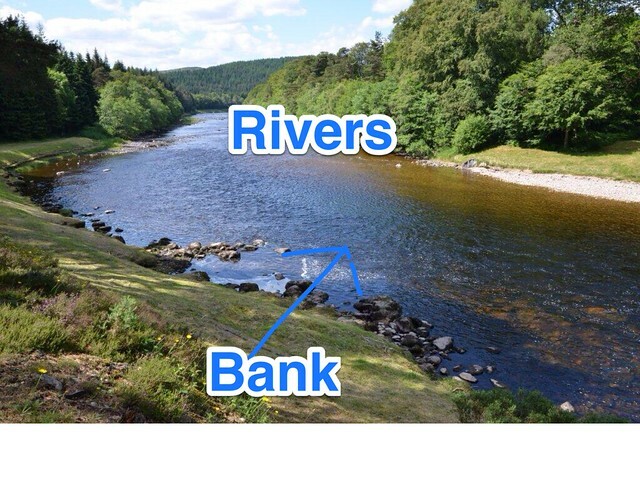 Where do rivers come from? How are they constructed? Watch Year Four’s presentations to find out. 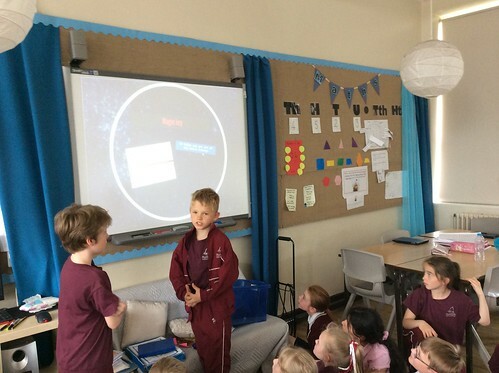 Year Four have been undertaking a project to present their knowledge of rivers as an e-book. It takes a lot of research, preparation and skill to put a read of this quality together. What did the Anglo-Saxons and Vikings do for Britain? Year Five have been documenting Alfred the Great’s extraordinary life by making a stop motion film. Here are some of the green screen clips that didn’t make the final cut! 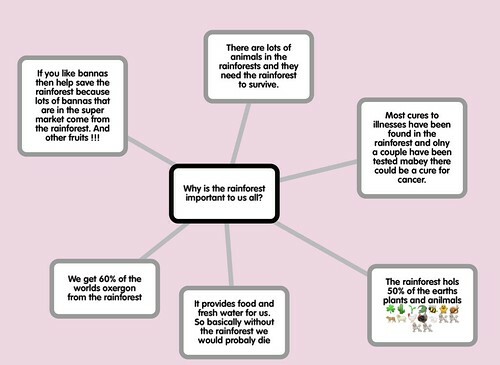 Why should the rainforests be important to us all? 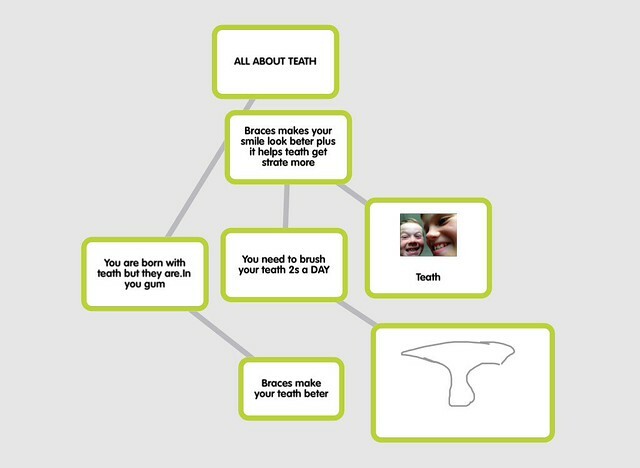 Popplet makes it easy to record and share a great deal of information easily. 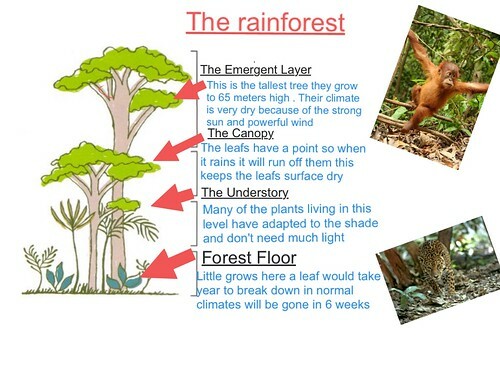 Year Five have been using the Explain Everything app to annotate rainforest pictures to tell us about their layers. 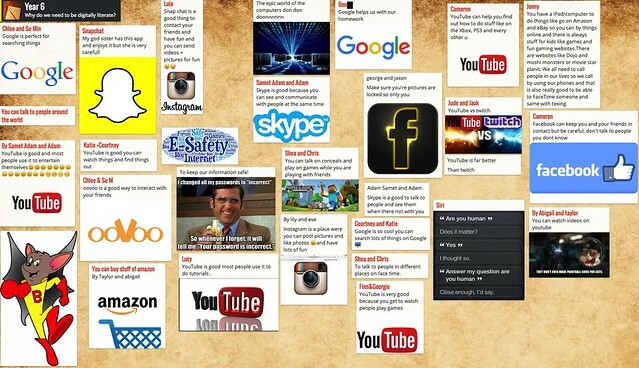 They also used Explain Everything to make informational videos. 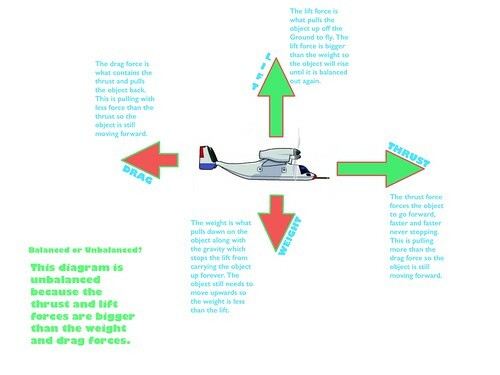 Year Six introduced themselves to the concept of forces by creating their own force diagrams. 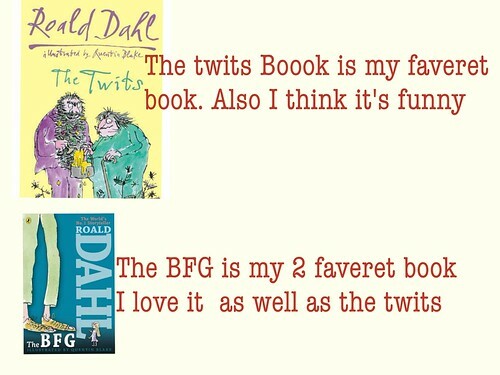 Year Two and Year Five used Explain Everything to share their love of their favourite book as part of World Book Day 2016. 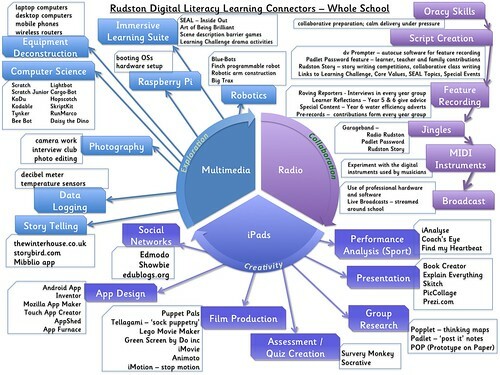 The work below gives a snapshot of all the different technologies we use at school. Here are some of the pictures they have taken! 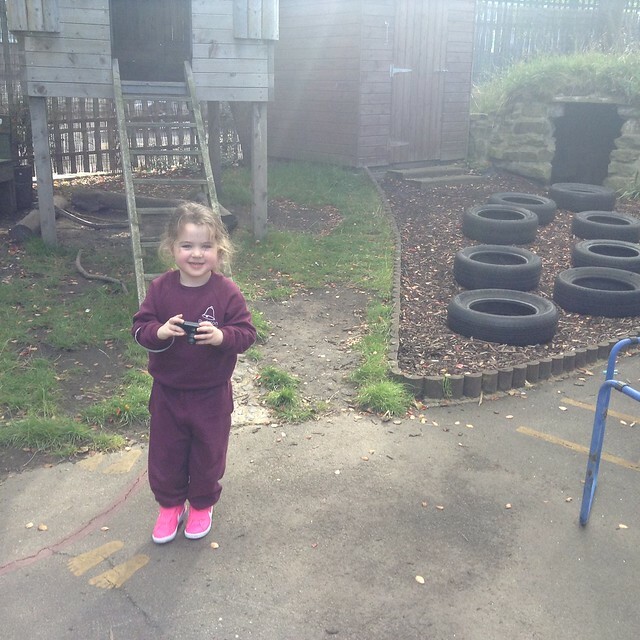 Year One have been inspired by the ‘Inside Out’ film to take pictures of areas of the school that ‘being us joy’. See some of the pictures they took below! 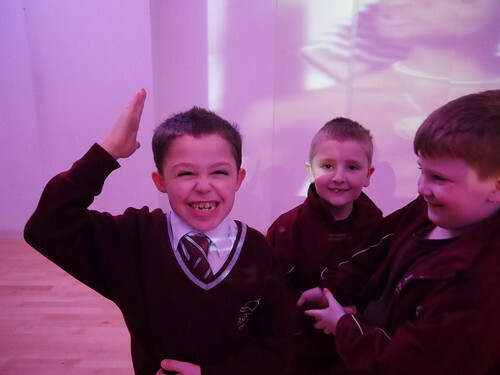 Year Two have also been inspired by the ‘Inside Out’ film to take pictures of areas of the school that ‘being them joy’. Here are some pictures of them at work! And here are some of the fruits of their labour! 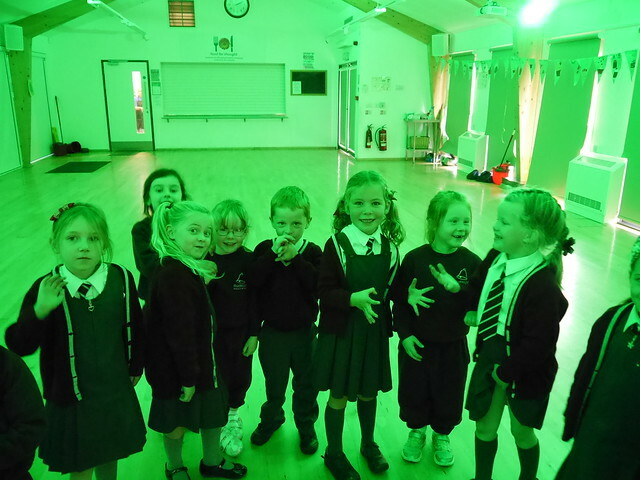 Year Two became real film-stars today and shared their feelings in front of a green screen. 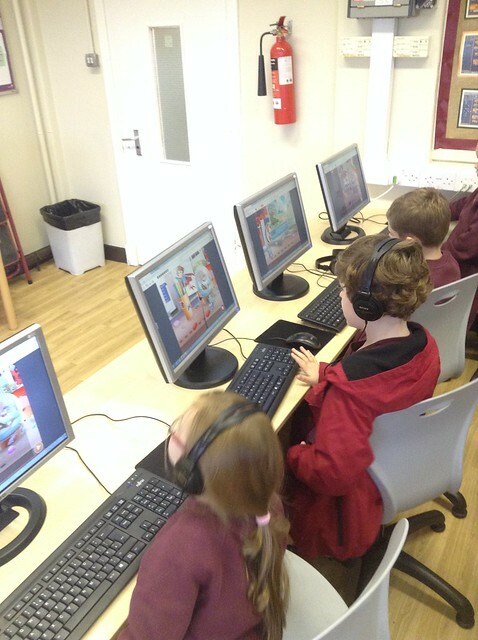 Year One have been reading, and listening to, digital stories. 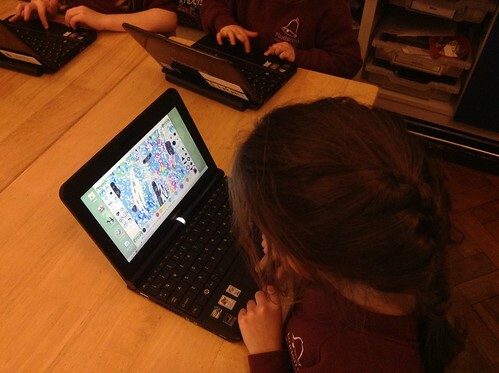 Year Two explored a website called Storybird to use wonderful images to catalyse their creativity! They read stories uploaded by fellow students and even authored their own! 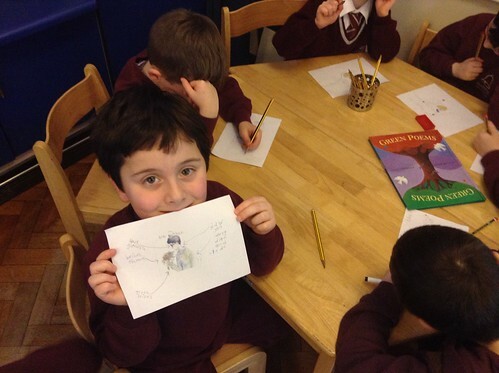 Year Three having been jumping into magical and strange worlds to write their own short stories. 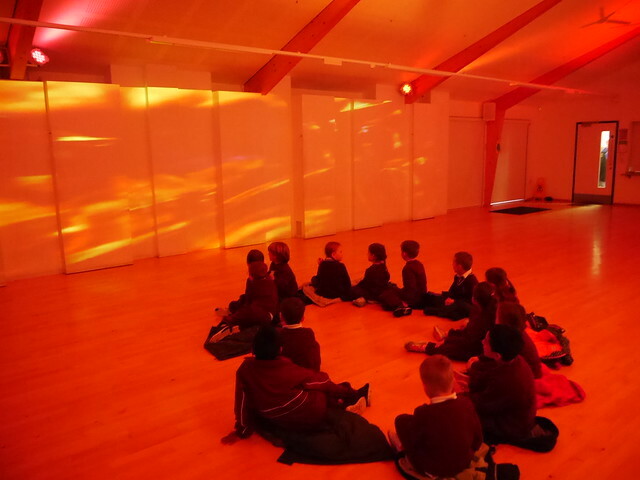 Year Four have been telling tales of adventure, using artists’ pictures to stimulate their imaginations. 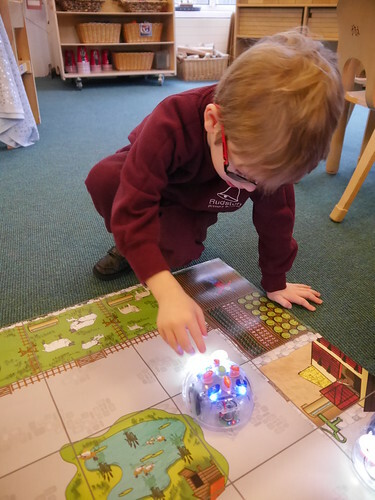 Reception have been exploring how to program Blue-Bot robots by putting in a code. 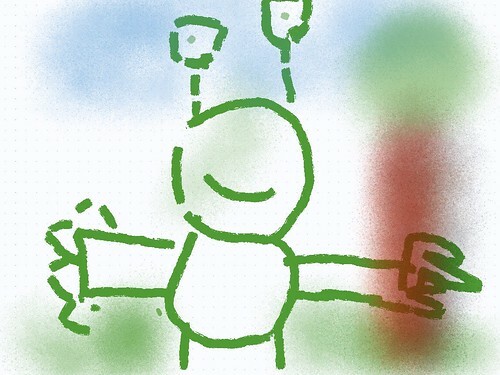 They’ve also been working out the correct algorithms to control characters on iPad apps – exciting stuff! 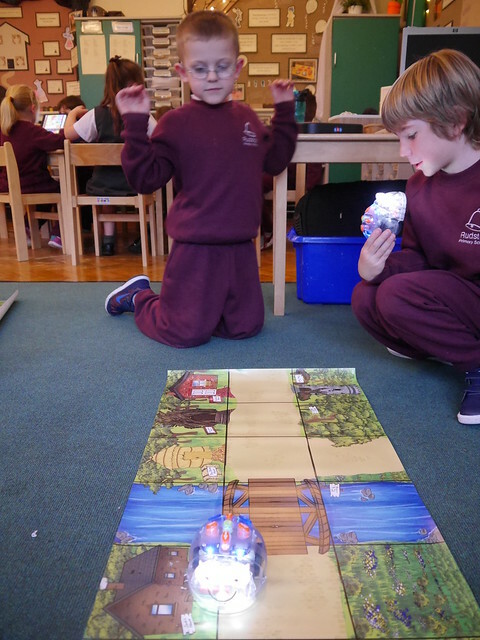 Year One have been testing their ability to program robots by using Blue-Bots; will their algorithms be correct? 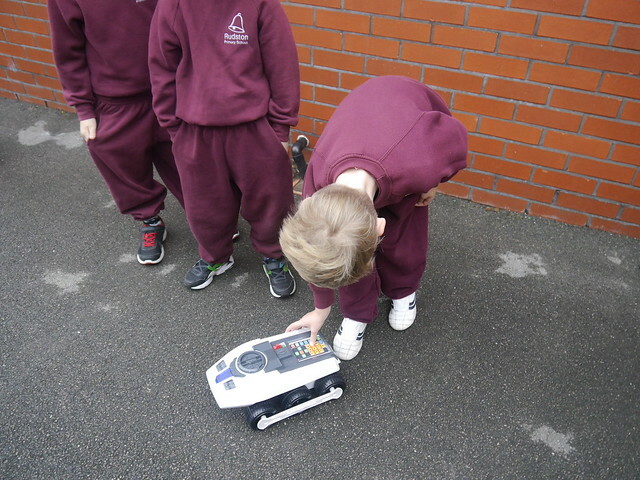 Year Two have been using a variety of robotics equipment to test their algorithms for real. The Big Trak robot uses turning minutes to rotate on the spot – we’ve been comparing this to an analogue clock! 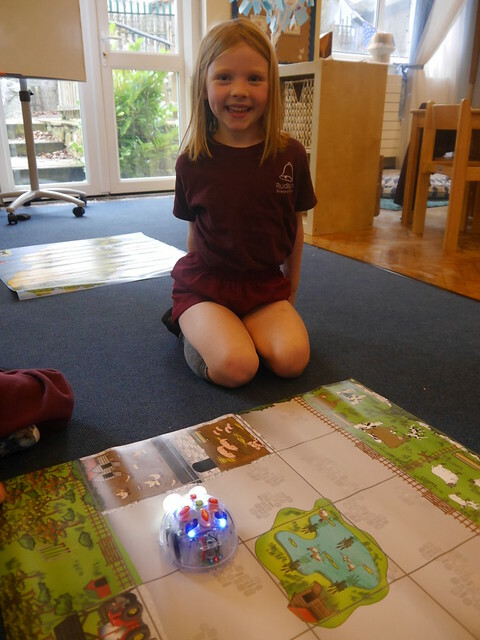 Blue-Bots can be coded using their keypad or by linking to an iPad. We’ve been challenging our partners to follow certain routes. 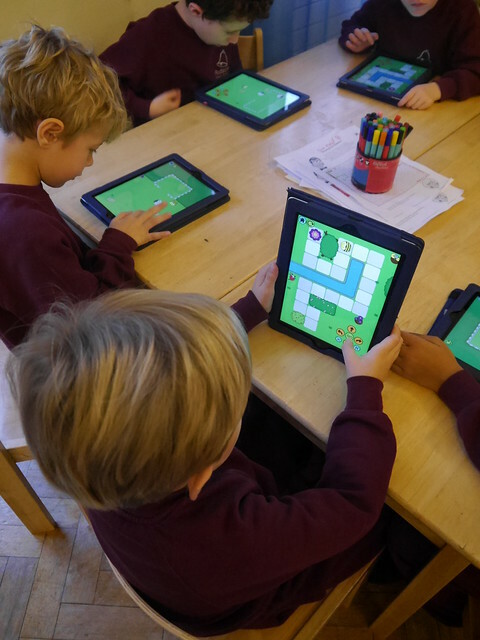 The Bee-Bot iPad app gives us a ‘sandbox’ to test our algorithms and work out the most efficient way of achieving an objective. 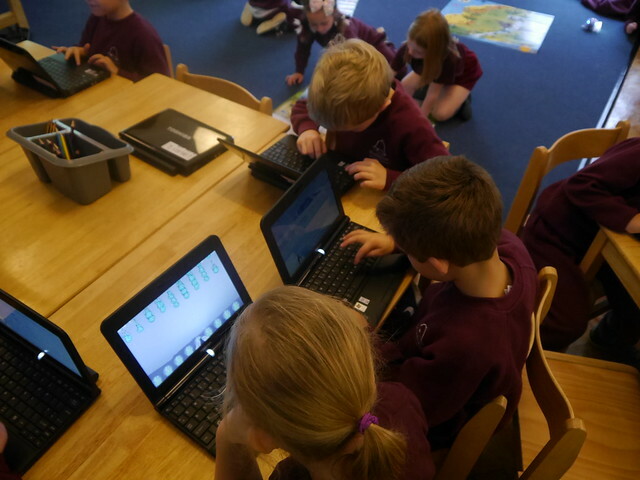 Typing Exercises Year Two have been taking advantage of our newly imaged Linux Netbooks to practice their typing skills – it’s hard work coding if you can’t use a keyboard! Year Two have been writing code scripts to direct a character to their goal! 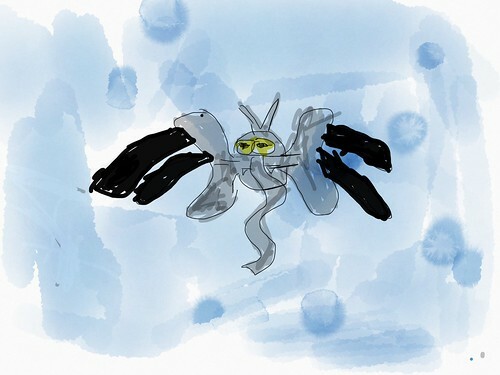 Will their algorithms work first time, or will they need to debug them? 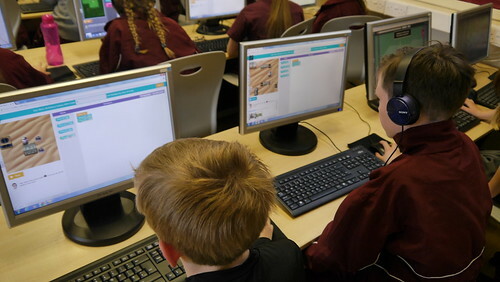 Year Four have been learning the basic of coding by programing the games they have been playing. Clever stuff! Unplugged computing explores and develops the keys skills that computing activities do – just without the plugs or batteries! 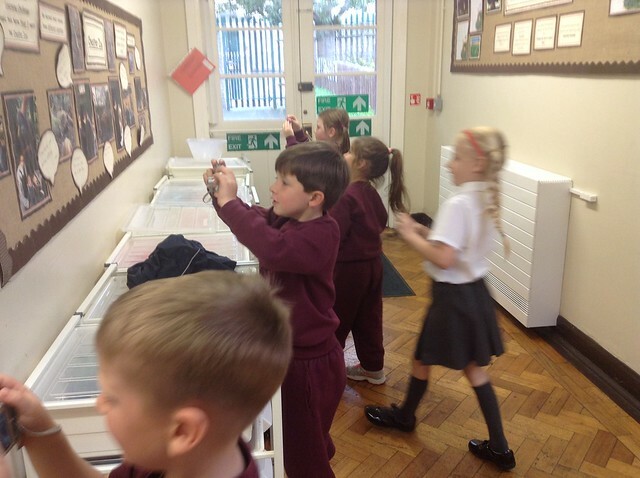 Year One have been investigating what it means to write and follow algorithm. 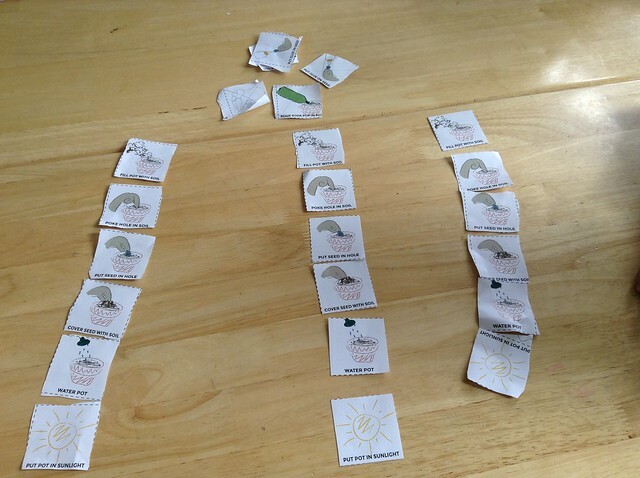 Did you know we even follow an algorithm to plant a seed? 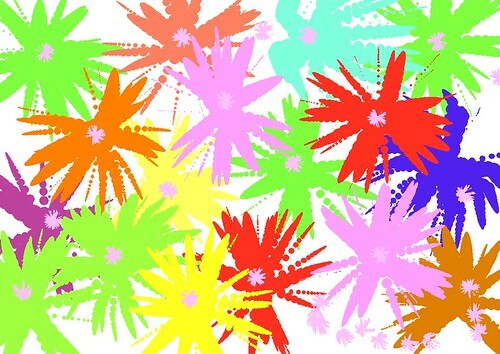 We also use algorithms to code for the movement of characters in video games. Come Friday afternoon, Radio Rudston is all everyone is talking about at school (or so Mr Soanes thinks)! 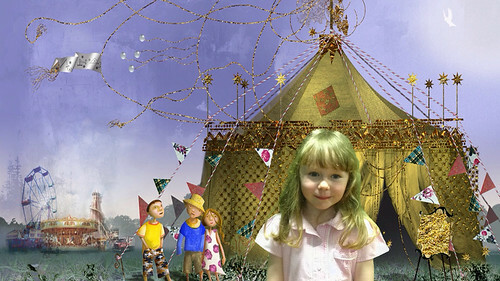 Through our Digital Literacy curriculum, everyone has a chance to be part of the show. 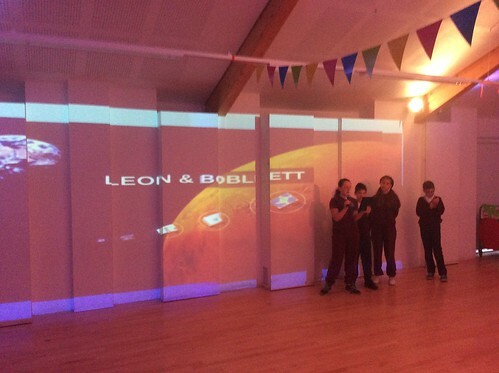 Year Six have taken the lead on re-launching Radio Rudston this year. They have worked hard to contribute towards the shows’ content. 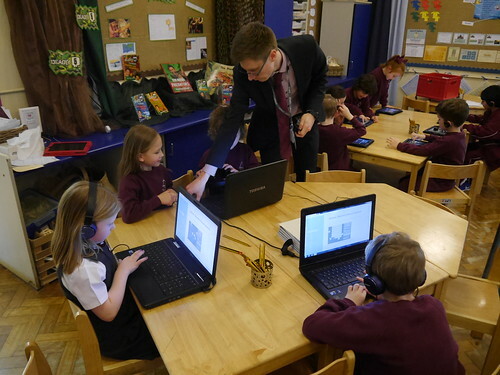 Year Five have also been supporting the Radio Rudston broadcasts – and what a crucial support team they have been. 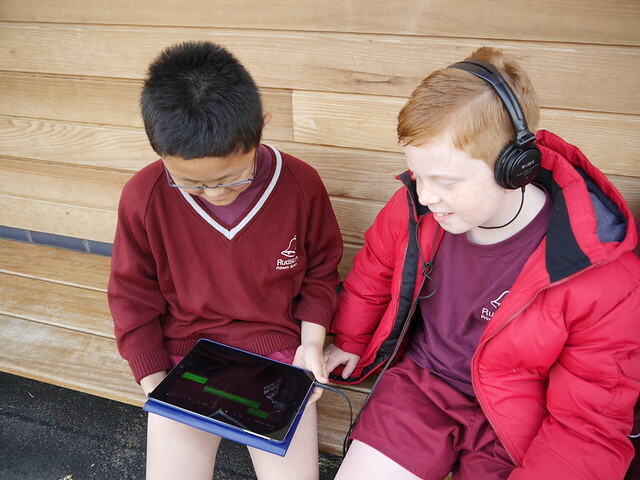 Year Five have created jingles for the broadcasts using Garageband on the iPad, not an easy task. Have a look at them in the midst of their creative process! And a listen to their work! 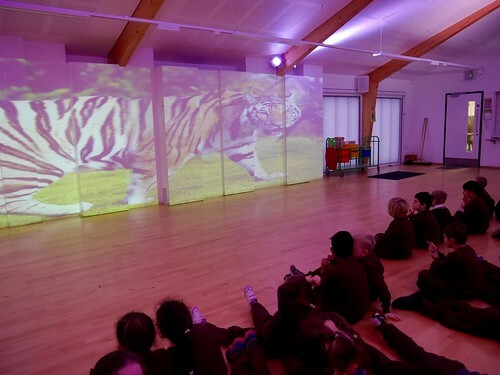 Not to be outdone, Year Six have also produced jungles – they’re catchy! Year Five have visited every year group in the school to produce interviews for the broadcasts. 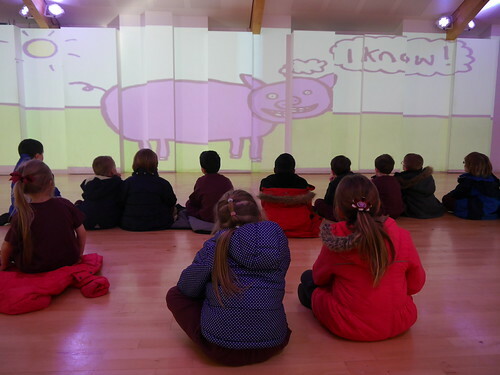 Year Five have also offered their own opinions on the important matters discussed in the shows. 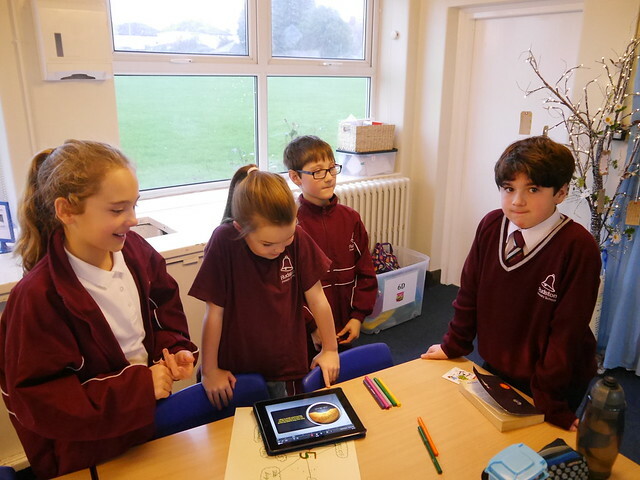 Year Six have also produced audio clips using Popplet compile ideas, DV Prompter to write an autocue script and Garageband to record them. 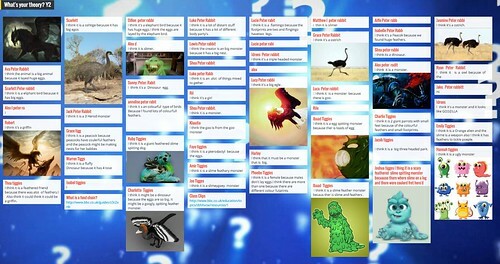 They even uploaded them to Padlet for Mr Soanes! Year Six have produced water efficiency adverts as part of a competition run by United Utilities. The winning entry will record their advert professionally and it will be played on the radio! We think our adverts sound quite professional already! 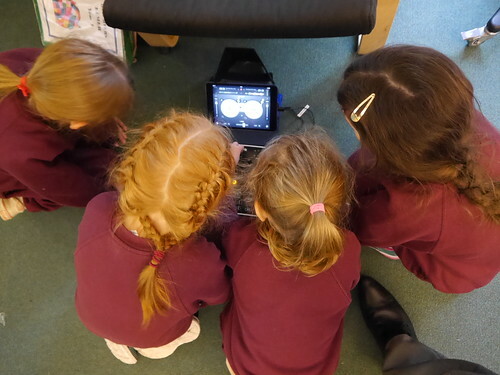 Reception have been developing their fine motor skills and iPad and computer literacy by creating catchy tunes! 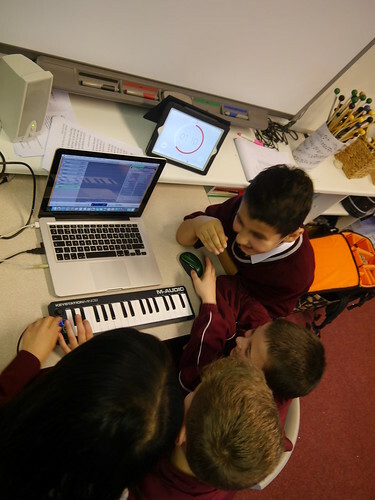 To coincide with the production of Radio Rudston, Year One have been experimenting with all things musical – digitally of course! Year Two have been using MIDI instruments; how many sounds can one instrument make? 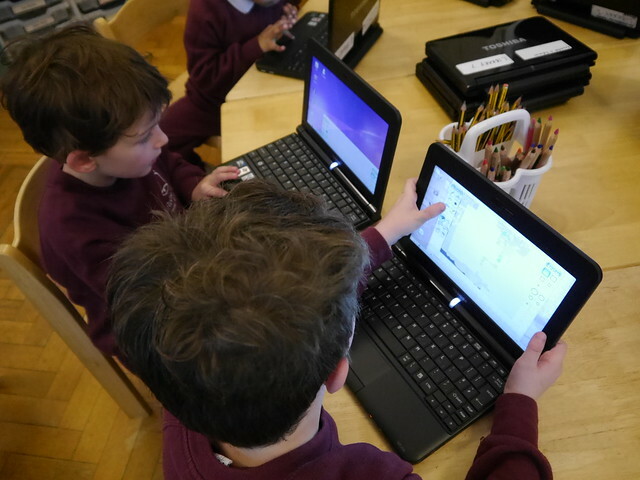 They’ve also been using the Linux netbooks; what better way to learn how to use an Internet browser than by making music at the same time? 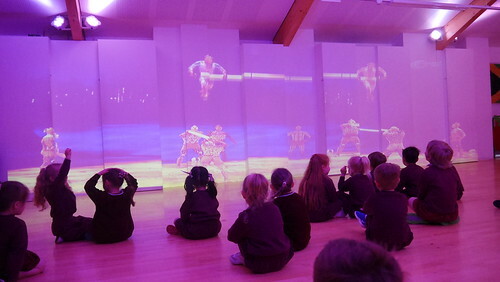 Year Five have experienced using MIDI devices to live the feeling of a popstar on stage! 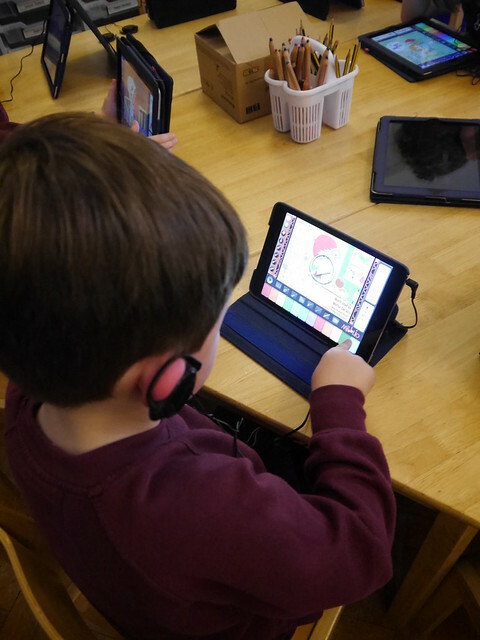 They selected the sounds they wanted the instruments to create and explored how to augment them using both software and the instruments themselves. 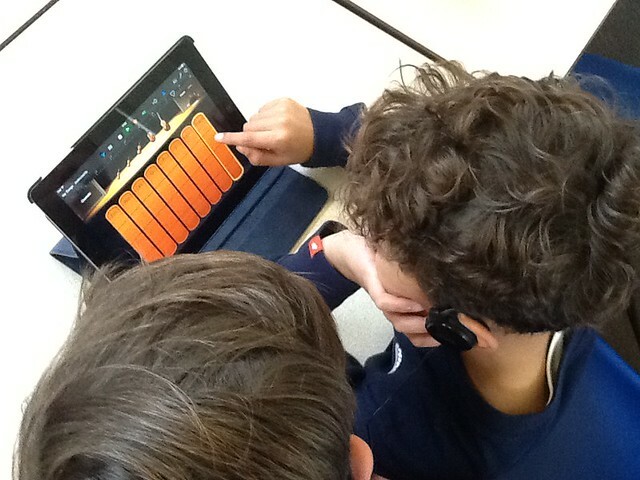 Year Six have been creating electronic music using Dance Ejay – let the beat drop! 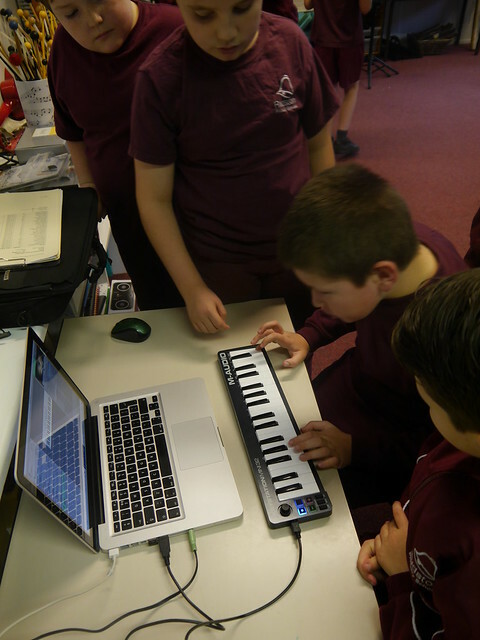 Following in Year Five’s footsteps, Year Six have been experimenting with Musical Instrument Digital Interfaces! 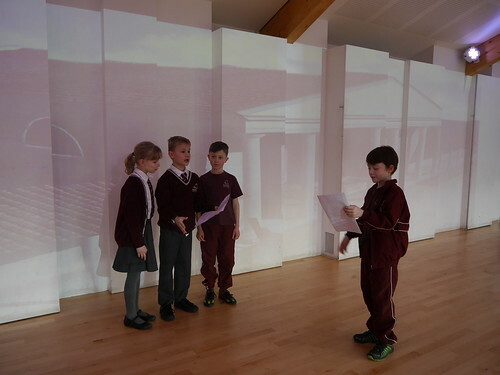 Year Five competed to write the first chapter of the Rudston Story – read live on Radio Rudston! The winners were Natalie and Eve from Swift Class with: Galfrid the Beginner of Everything. 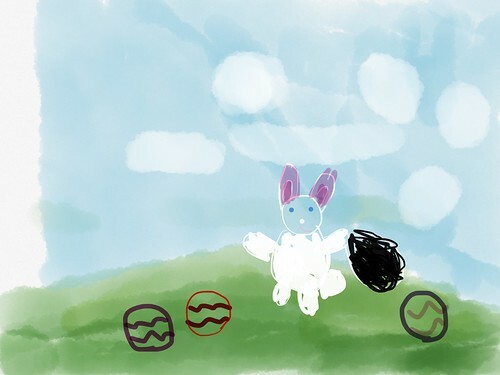 It was a hard choice though; there were many close contenders. 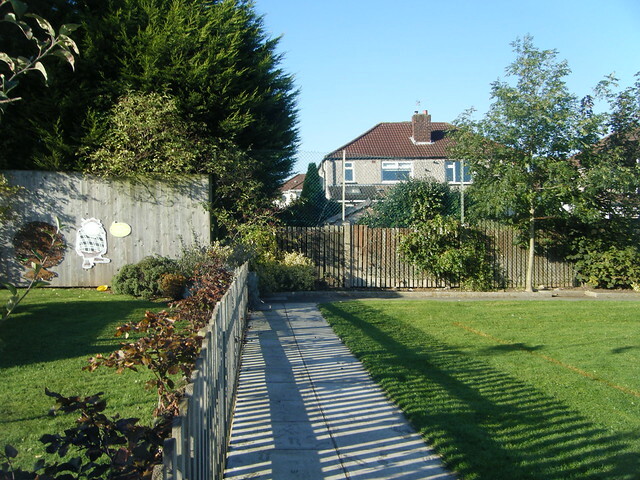 The Rudston Story is now complete! 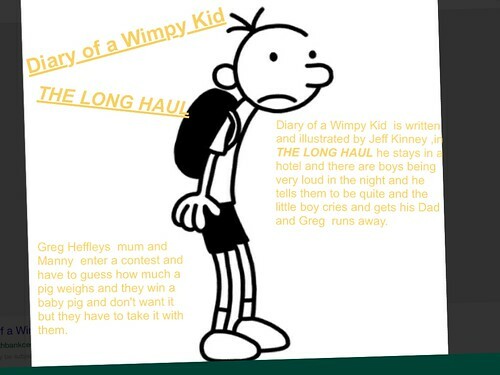 Years Two – Six all contributed to the writing of the story, both through class collaboration and individual competitions. 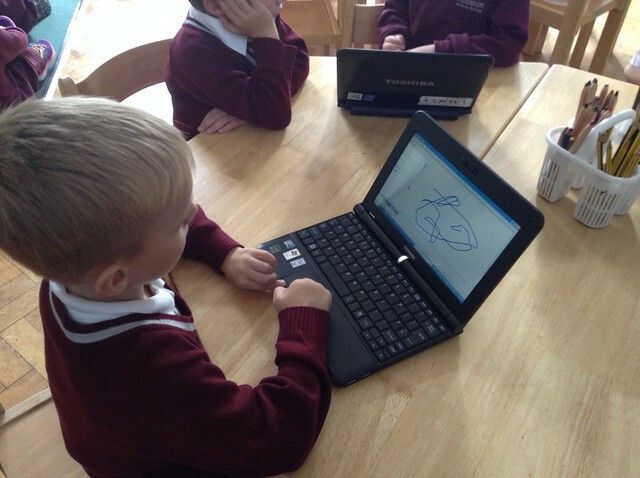 Below, you can see Year Two helping Mr Soanes to write the next chapters of the Rudston Story. It looks like Galfrid and Chelsey are going to visit many magical places! Year Five had another competition to write a Christmas Story. The winning story was ‘The Girl Who Stole Christmas’ by Richi and Sam. We all enjoyed Year Six reading the story during our special Christmas edition of Radio Rudston. 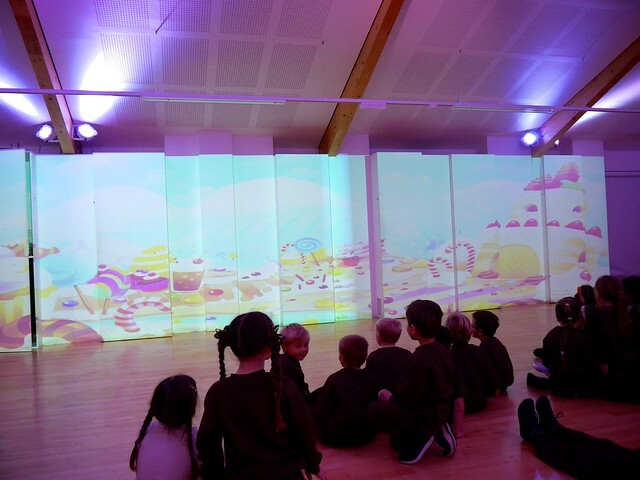 Over the past few weeks, all of Rudston’s family have been working hard to transform the school in to a magical place: The Place Between. 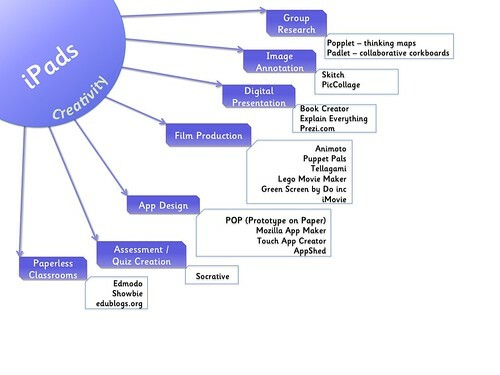 Below is some of the media created and gathered throughout the project. 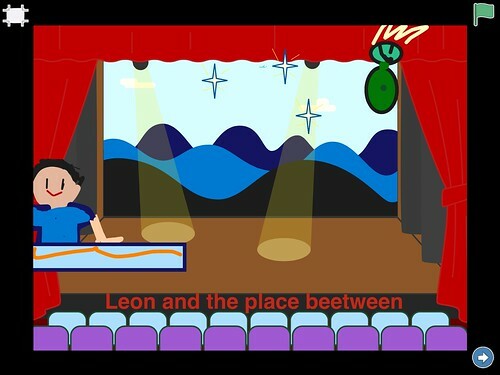 Inspired by the project, two learners in Year Three made their own Leon-inspired game using the Scratch Junior app!